Zn/Ga/Gd-substituted NiFe2O4 was formed by solid state reaction and citrate methods. The influence of substitutions on phase formation, the strain, crystallize size, cations distribution and magnetic properties have been examined by X-ray diffraction, Mössbauer effect spectrometer, Fourier-transform infrared, and vibrating sample magnetometer. Zn/Ga/Gd substituted NiFe2O4 samples prepared by solid state method showed that as gadolinium introduced into the system, a second phase was formed with a small percentage while samples prepared by citrate method exhibited a single phase. The distributions of different cations between different sites were determined by both Mössbauer effect spectroscopy, modified Bertaut and Rietveld analysis. Mössbauer technique at room temperature showed that samples synthesized by the ceramic method have a magnetic order while samples prepared by citrate method have a superparamagnetic nature. 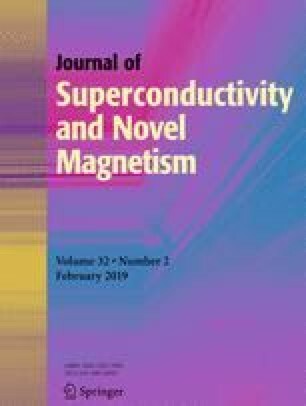 The canting angle between magnetic ions was increased by increased the amount of Zn in samples prepared by both methods.